In 1979, as the first Honda CB900 Bol d’Dors were rolling off the production line in Japan, the legendary American director Martin Scorsese was on set making his masterpiece “Raging Bull”. Staring Robert De Niro and Joe Pesci, it’s a black and white tale of Boxing and the Mafia in 1940’s America. It had all the subtly of a sledgehammer. 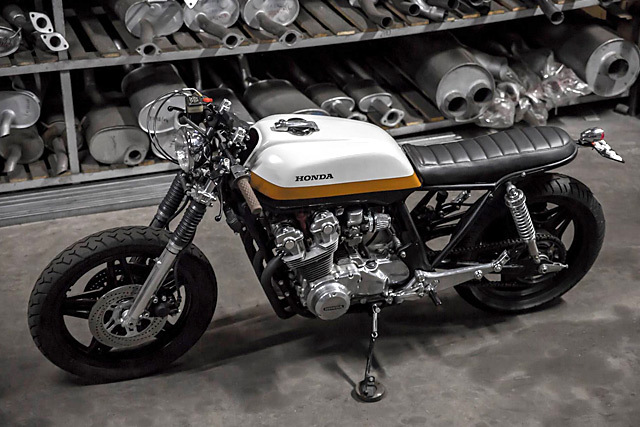 So for Bullitt Garage’s heavy hitting, rebellious big block Honda it made for the perfect name and with Gonçalo strapping on the gloves and Luis in his corner, the CB900 Raging Bull was born. Hailing from the beautiful city of Braga, Portugal, the Bullitt Garage team aim to build an exclusive line of custom machines with underground styling and a level of exclusivity for each and every customer.